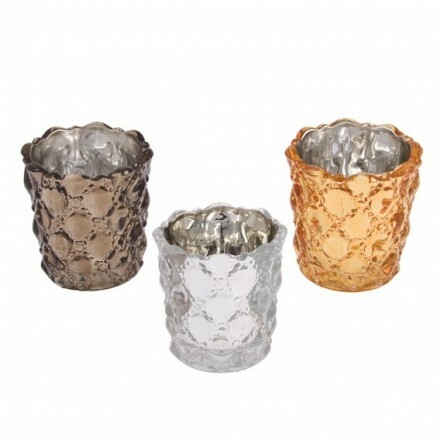 Set of three tea light votives. 6cm wide, 7 cms tall. ( 2.4 inches wide x approx 3 inches tall). Mettalic accents are all the rage! 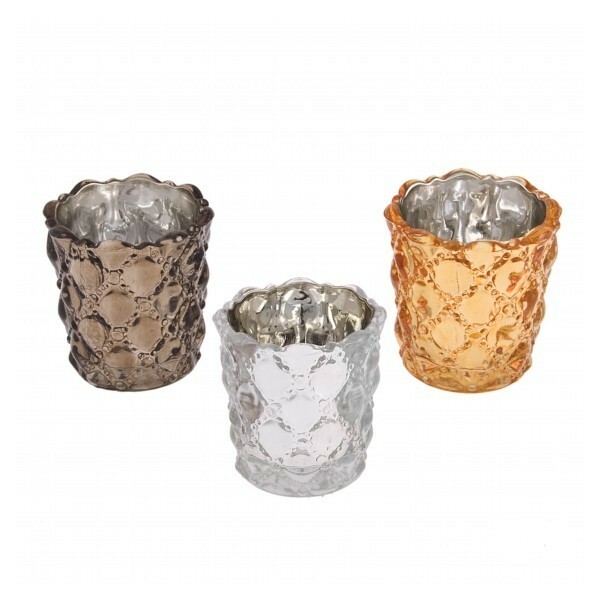 One each of pewter, gold and silver colour small glass votives. Quilted dimpled effect with silver lining ideal for reflecting the light from tea light candles (not included).